Internet Fax (or “efax”) is a general term which refers to sending a document facsimile using the Internet, rather than using only phone networks (traditional faxing) with a fax machine. While the idea of setting up a fax number may appear to some a bit outdated given the popularity of email, there are 4 key benefits to consider. 1. Internet fax has lower setup and monthly costs than traditional fax. If your faxing requirements or needs are very minimal, you can sign up for a small service packages that are with have inexpensive monthly or yearly fees. In general, the longer your contract period, the cheaper your monthly payment will be. 2. 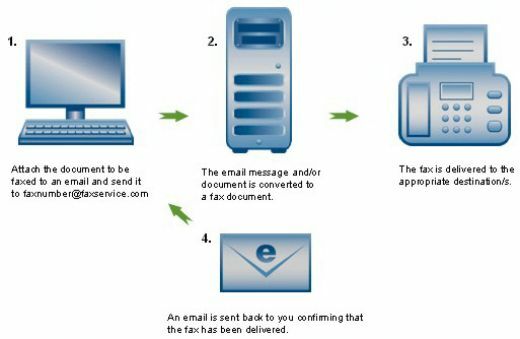 Internet fax integrates with email. Given that this type of fax is web based, you are not tied down to the office fax machine or limited to any physical location. Online fax services are perfect for mobile professionals and frequent business travelers (e.g. real estate agents, sales people, medical personnel, engineers and architects) because they can access to all kinds of documents on-the-go. Your Internet fax service will allow you to send and receive image files (e.g. JPG) and text files (e.g. PDF, Word) with the click of a mouse. 3. Internet fax has the ability to receive documents from remote places. While the Internet is reaching out by giant leaps to the most remote places in the world, there are still some places where Internet access is limited. Being able to communicate with remote areas via fax, keeps your options open and allows you to send and receive important documents such as prints. Also, in most cases sending an efax is cheaper than communicating over the phone. This is an important benefit for field operations in remote areas. Field workers will find Internet fax is flexible, portable and very convenient to have. 4. Internet fax is scalable. 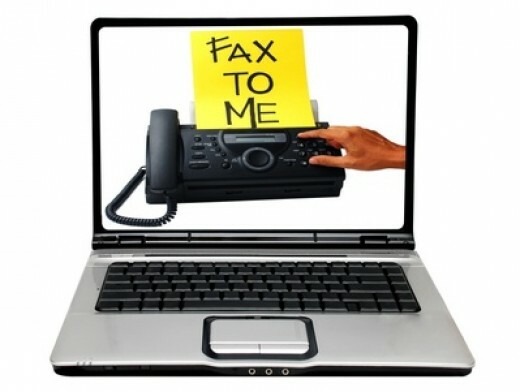 Internet fax is completely scalable to meet any company’s faxing needs, big or small. Most Internet fax services such as Monopond will offer special rates for large scale fax broadcasting and other faxing requirements of large businesses. Unlike with traditional fax, Internet fax providers allow several users to use the same fax number or provide a dedicated fax number for each user. Online faxing has lower costs than traditional faxing, integrates with email, has the ability to received documents from remote places with no Internet access, and is scalable. Yeah, faxing isn’t dead. The fact is that, despite technology, we sometimes need to wiggle little marking sticks over paper to make important notes, sketches, and marks (like signatures!) and we don’t always have the time or opportunity to do it digitally. Also, people generally don’t know that some fax services allow you to fax using your iPhone or Android phone. If people are curious about which providers have this feature, they can visit our page at http://www.findafax.com/ — any service with an Apple or Droid icon has a smartphone fax app. We also have free, IMPARTIAL service comparisons & reviews. Check it out. We developed faxinating.com, you are very welcome to test it! Your aticle is good indeed. Thank you!